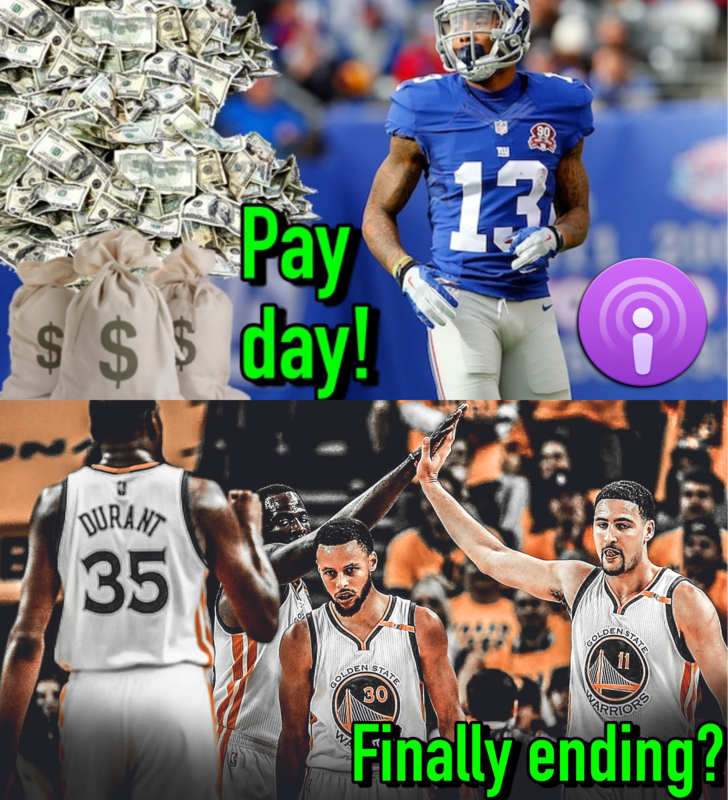 Odell gets paid — Was this the right move for both sides? 18 regular season games, 2 preseason — Good, bad or terrible idea for the NFL? Have a problem with OBJ’s comments on being a black athlete? NFL helmet rule outrage — Fair complaints or overreaction? Should the Warriors title odds be down at all? Too early for Manchester United to fire Mourinho?